Now I’m no “beauty guru” (dear lord imagine me telling people how to dress…bad) or fashion fanatic but there are somethings I really love when I need to look presentable/a normal human being. Seeing that these monthly favorites are a really popular trend, I’m going to join in and let you all know some of my favorites things for the month of February! Okay before you say anything – I know this isn’t beauty related. But staying awake is the first step to being a productive human being! You all know that one of my goals for this year is to cut back on coffee. But I do still need something in the morning to give me that little kick to wake me up. 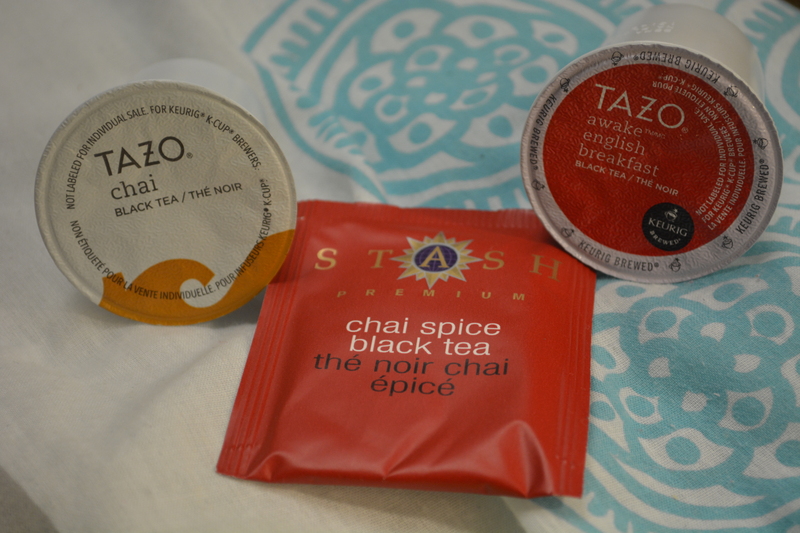 I moved on to spiced teas! Spiced because I’m brown and I don’t understand the concept of plain, bland anything. I either use these teabags or the K-cups in my Keurig. Either way, I’m drinking something refreshing and definitely a bit healthier! Most of my tea is milk based (whole milk) and I sweeten with Honey. I find these teas to be just the right amount of flavoring without the strong caffeine flavor. 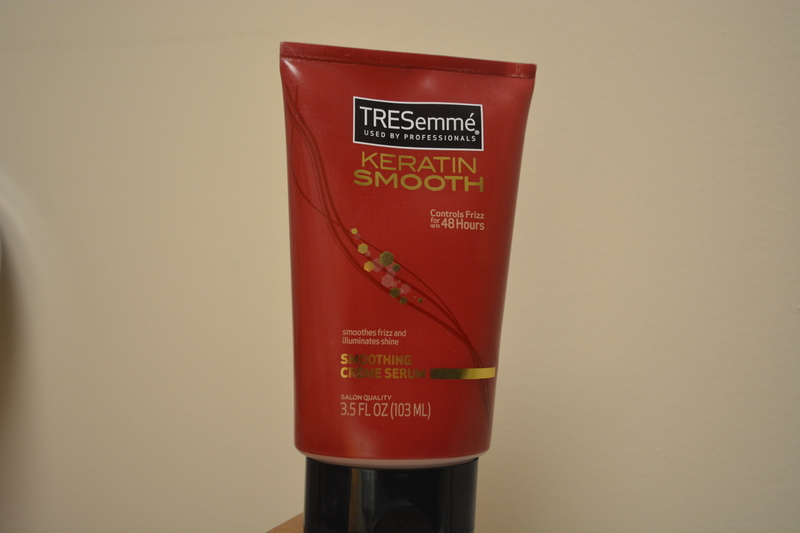 Tre Semme Keratin Smooth: Smoothing Creme Serum. Any girl with frizzy hair (or brown girls in general) know that trying to find the best product to tame that mane can be a nightmare. Well search no more! Well, actually you have to because this is like sold out whenever I go to Wal-Mart. I use just a little dollop of this creme in my hair after I wash it and comb it through to equally spread it. It keeps my natural curls in place without any frizz or that icky crunchy texture. I was going to tell my friend Anna about it and she was already using it! It’s light weight and doesn’t make your hair sticky and a little can go a long way. 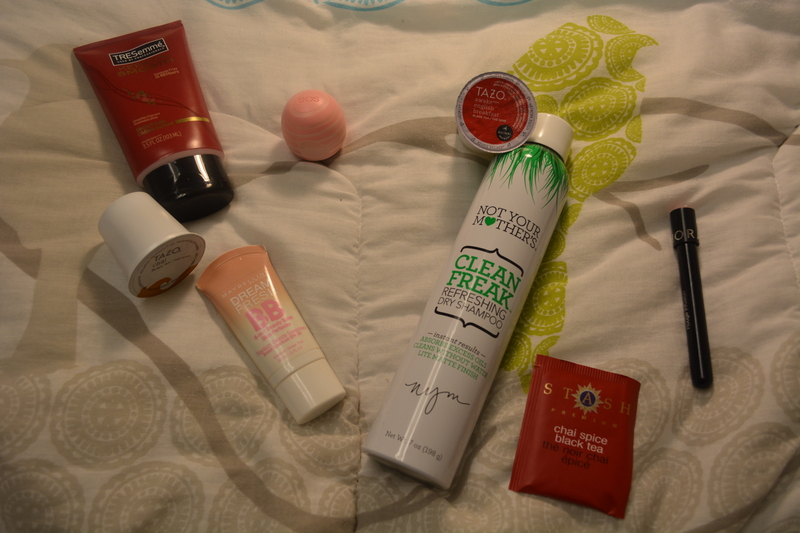 I guess it is so good because I can never find it when I go to the stores, but when I do, I make sure to stock up! 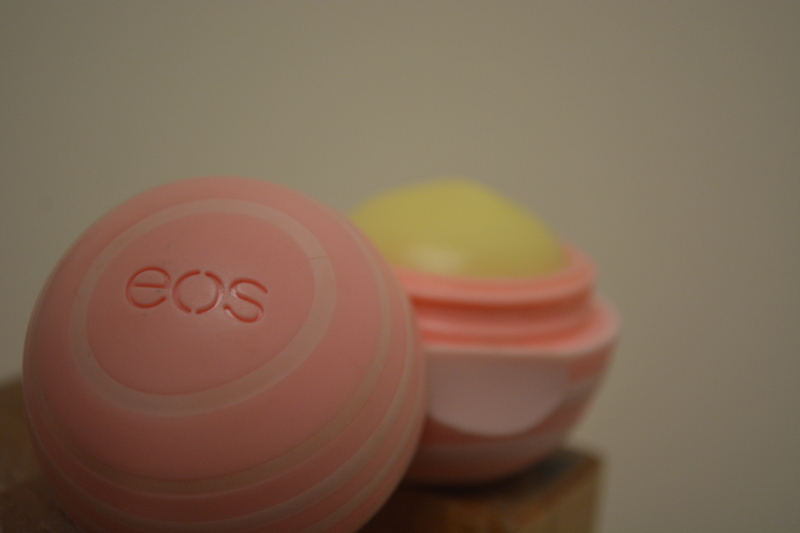 EOS lip balm in coconut milk. 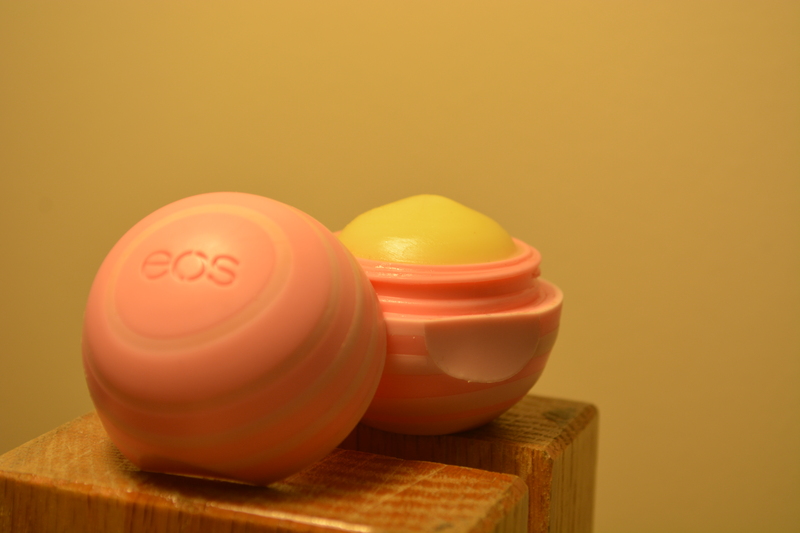 Now EOS has come out with a lot of different variations to their classic egg-shaped lip balm but this addition is probably my favorite. Not only does it hydrate, it keeps my lips smooth for the entire day and night. I find myself waking up in the morning and it feels like I just put it on. 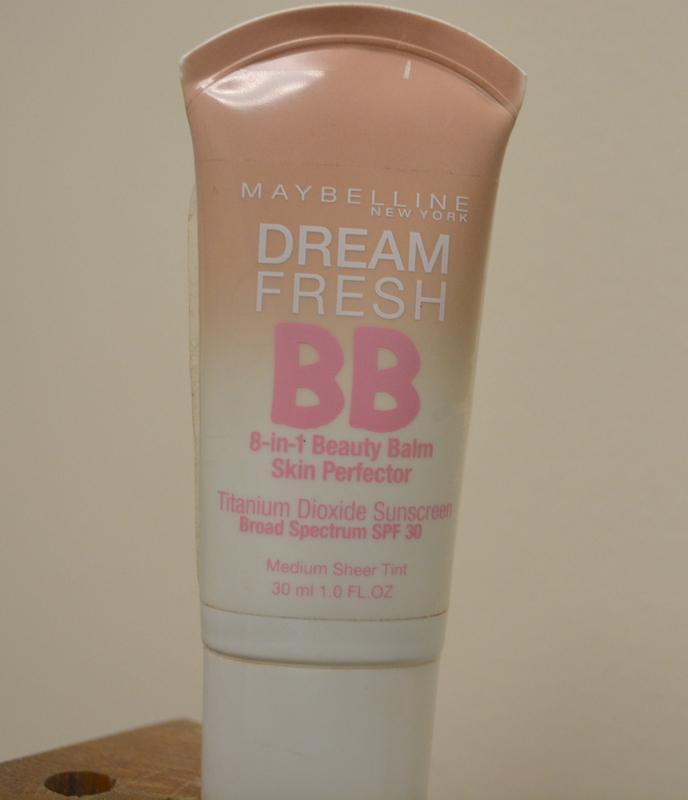 This is a great product for this harsh, winter season because it keeps your lips from getting chapped and dry. There is a Vanilla Mint flavor as well so if you like that one, let me know how it is! 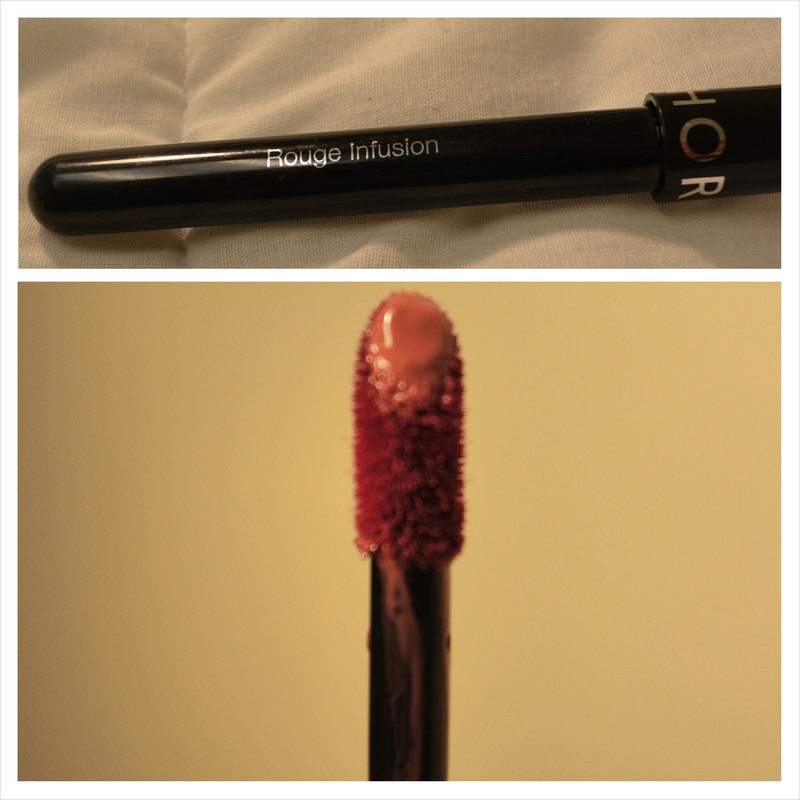 Sephora Rouge Infusion Liquid Lipstick in Rosewood Elixir. This year I’ve been trying to look a bit more presentable and “girly,” but I’m still not at the point where I can wear a bright red lip color to class. And knowing me, I’ll always get lipstick on my teeth or it will rub off and it’s just not a pretty situation. But whoever invented liquid lipsticks is a genius. Like really. I liked this one from Sephora because not only is it long wearing, but it is also a fairly natural color that fits any occasion. 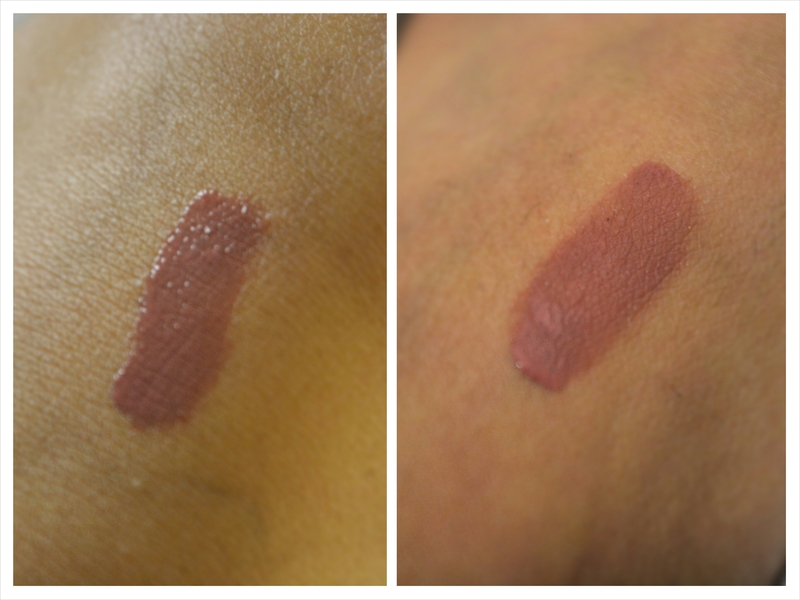 Left: Freshly swatched. Right: Dried. 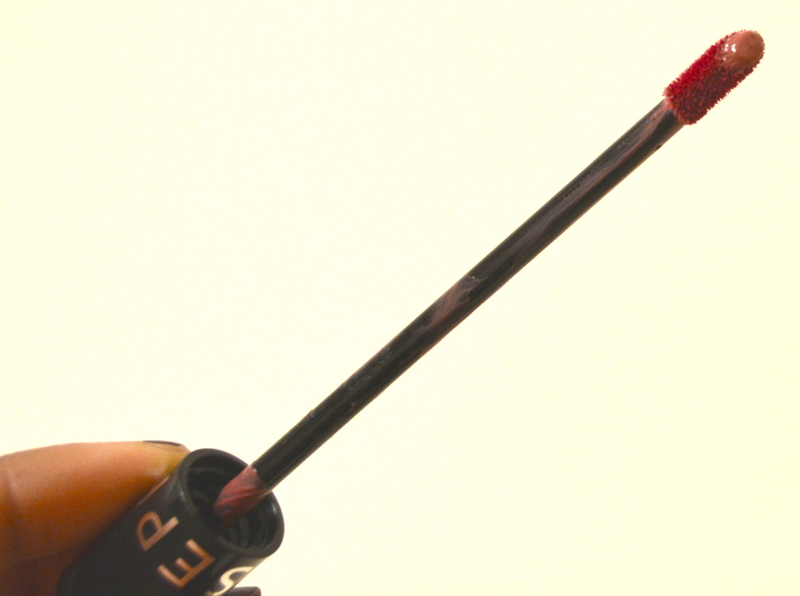 This color is like the whole “my lip but better,” so if you are looking for something natural, try this one! My skin hates me. It’s like whenever I have to go out into the outside world, it decides to populate itself with acne and cysts. I’m also an oil well, so much so that I could probably fuel my own car. 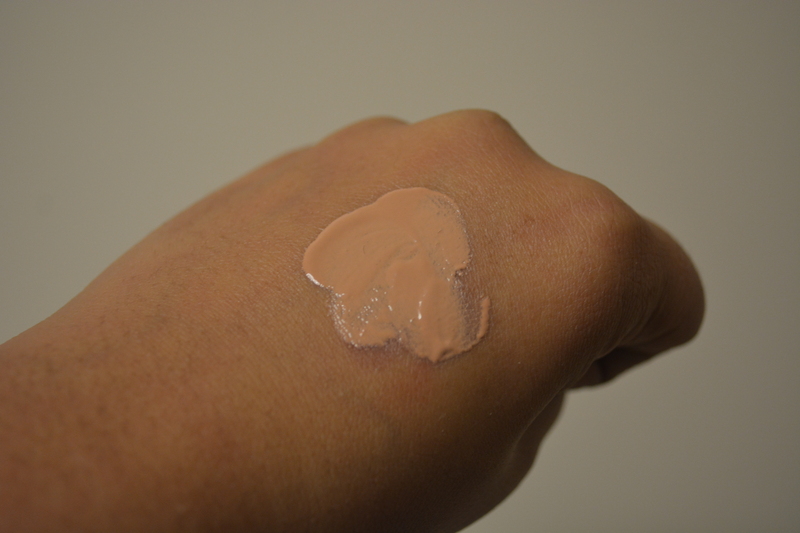 So when I have to look presentable, using a full coverage foundation isn’t really the best route – you look cakey and it highlights the dry patches and it’s just not a good look. If you are looking for a lightweight, natural looking base, try this! It gives me just enough coverage and yet I still look normal. A little bit really goes a long way for this too – I focus on the areas that need more coverage, like my checks and around my nose, and it gives me pretty good coverage without looking obvious. And it’s a drug store brand so it’s a steal! To go with my oil-ridden face, I was also blessed with oily hair. Even the day after I wash it, it will be a hot mess. But use this stuff in your roots and brush it all over, it’s like you just stepped out of the shower again! I showed this to my mother and even she was impressed so it has to be good! I like this one because again, a little can go a long way with this. It not only rids you of oils, but it helps to add a little bit of volume. What have been your favorites this month? Let me know in the comments! 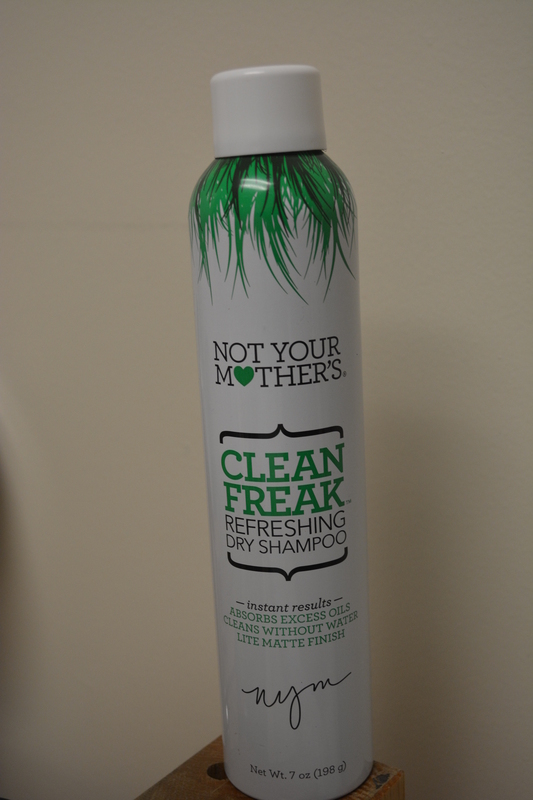 I love the name “Not Your Mother’s”. I guess you are just like me – you like things that make you happy, not our fault it happens to be beauty related! I’ve put my favourites of the month on my blog.